Chevy Truck Repair and Service - Henderson's Line-Up Brake & RV Inc. It started with a very simple idea back in the 1920’s: Have a few car chassis fitted with hand-built beds to help transport materials around the rapidly growing car factory. It wasn’t long until millions of Chevrolet pickups had become part of the fabric of a rapidly changing and fast-growing country. 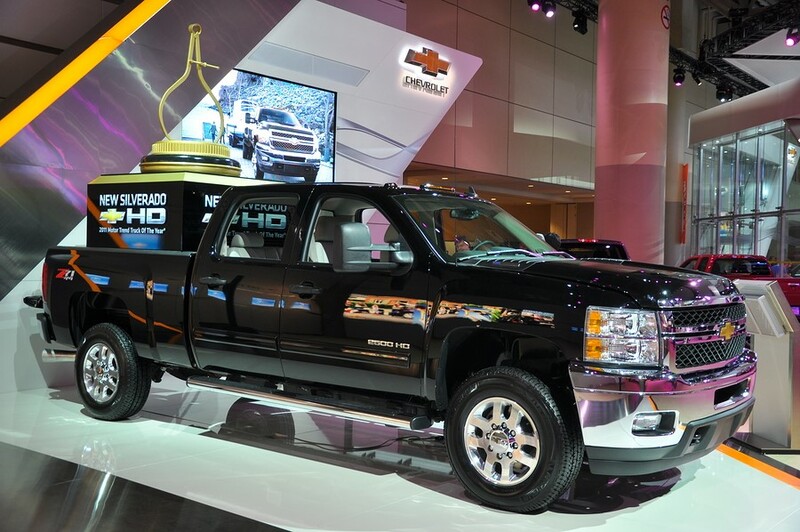 Chevy trucks were made to tackle the toughest jobs on farms and in the fields. They hauled tools and lumber to the newly formed suburbs and became the primary mode of transportation to many families and friends into and out of the wilderness for well-deserved vacations. For over 50 years, Henderson’s Line-Up has been serving and saving Chevy Trucks that have been handed down from father to son. You love your Chevy and we love working on them. We not only understand them, but we’ve developed custom after market parts to improve their steering and handling capabilities that are accepted industry wide as improving the Chevy’s overall performance. Your Chevy Truck's steering, suspension, and braking systems are comprised of many different components, which must function correctly as a system for best results. Finally, when any repair work is completed on your Chevy Truck, we'll test drive the vehicle one more time, then let you take the wheel to verify the effectiveness of our work. Come to Henderson's Line-Up once, and you'll understand why we're sure you'll be coming back for all of your Chevy Truck service needs.